Srinagar: Hurriyat Conference (G) chairman, Syed Ali Geelani on Friday while commenting on the statement of Jammu and Kashmir Governor said that hypocrisy and arrogance touches new heights when a person, “posing as Vice-Roy of Delhi, continues his venomous utterances”. He said that it is surprising and ridiculous that a person “alien” on this soil, hailing from a place thousands miles away—threatens the permanent and legal residents of this land, to flee from here. “This is outcome of the sick and biased mindset every oppressor genetically poses. His power intoxicates him to the false and baseless belief that might and force authorizes him every liberty to humiliate the masses,” Geelani said. Pro-freedom leader said that governor should at least have a general understanding and basic knowledge that a qualified and conscious youth can hardly fall prey to the exploitation of any religious cleric, a priest or a political figure. Worldly luxuries its glamour can’t convince him to opt for an extreme step. “Had the Indian rulers and their proxies sincerely tried to dig a little deep in the situation, without using the prism of ultra nationalism or fascist religious color, they would have come across that fundamental and basic reason for the chaotic scenario,” Geelani said. “Azadi is not only our dream, but a passion, a purpose and a much cherished destiny, nourished by the blood, honor, life and livelihood of this ill-fated nation and if Mr. Governor finds it hard to get to the mathematics of it, he better unfold the pages of history or enquire from his predecessor —when they themselves were fighting oppression,” he added. 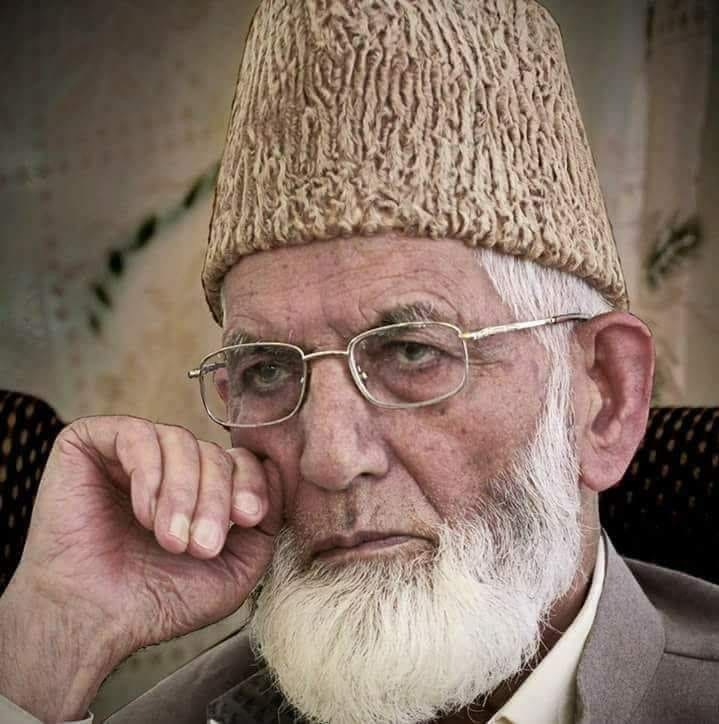 “Their oppressor also threatened them same way as his military might and illegal control has blinded them as well—but realistic tide of time swept their empire and squeezed them to a small piece of land—encouraging every subjugated nation to fight back,” Geelani said.